Even the best marathon runners need to take a breather eventually. Unless the race is on Wall Street. Stocks have powered higher since President Trump's election with barely a stumble. That's highly unusual: Market declines are normal and healthy, even during historic rallies. Yet the S&P 500 hasn't retreated 3%, either in a single day or over several days, since early November 2016. That is the longest period of calm in history, shattering the record from the mid-1990s, according to Bespoke Investment Group. And you have to go back to June 2016 -- weeks before Trump wrapped up the Republican presidential nomination -- to find the last time the S&P 500 suffered a 5% pullback. If that streak continues until January 22, a real possibility, it would also break the all-time record of 394 trading days set in the mid-1990s, according to LPL Financial. "We have been extremely spoiled by the action (or lack of action) over the past year," Ryan Detrick, LPL's senior market strategist, said in an email. "To think that 2018 will be as tranquil as 2017 could be quite foolish." Peter Oppenheimer, chief global equity strategist at Goldman Sachs, told Bloomberg on Wednesday that "a correction is potentially overdue." Related: Everything's near a record. Is the market too hot? Extreme calm has washed over Wall Street. The VIX (VIX), which measures market volatility, recently closed at its second-lowest level ever. CNNMoney's Fear & Greed Index of market sentiment is flashing "extreme greed." 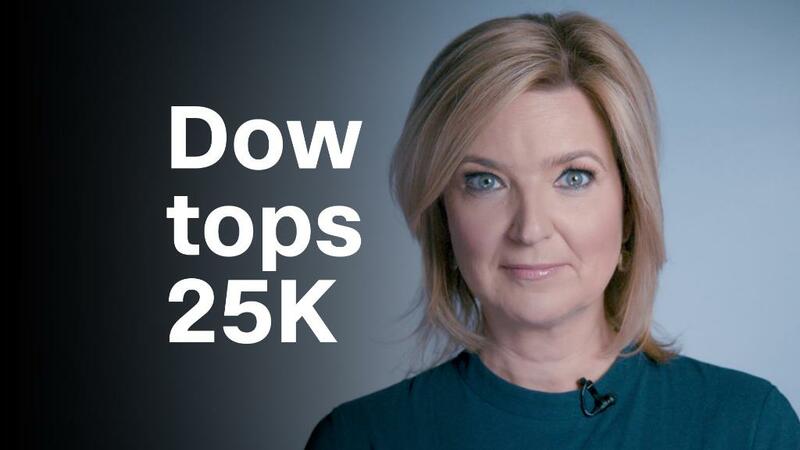 And as the Dow zips through milestone after milestone -- it took just a month to go from 24,000 to 25,000 -- concerns have grown that the market is on the verge of overheating. Some analysts have warned of a so-called melt-up, an unsustainable race higher that isn't based on fundamentals. The Dow and Nasdaq have climbed about 38% apiece since President Trump's 2016 election. Even corporate executives may be getting more cautious about the market. Eighty-four percent of chief financial officers polled by Deloitte say U.S. stocks are overvalued. That's the highest since the Deloitte survey began in 2010. Just 2% believe stocks are a bargain. The figures suggest companies should be somewhat reluctant to use the bulk of their savings from the tax law to buy back shares of their own stock. Investors who lost a great deal of money during the terrifying 2008-2009 market meltdown certainly aren't complaining about the tranquility. And there are reasons for the good times on Wall Street. The U.S. and global economies are doing great. Even Europe is on the upswing. Corporate profits have never been stronger -- and the tax law should give earnings a boost. The Federal Reserve hasn't abandoned its plan to raise interest rates just gradually. So what could disturb the calm on Wall Street? One obvious threat is the nuclear standoff with North Korea. While North Korea and South Korea have started talks, tensions are always just one missile launch -- or tweet -- away from escalating. BlackRock's geopolitical risk indicator, which tracks how often geopolitical worries are mentioned in the media and in brokerage reports, has jumped over the past year to the highest level since March 2015. Even though they can be scary, geopolitical events tend to have just a fleeting impact on the stock market because they rarely derail global economic growth. One geopolitical risk that would threaten the rejuvenated global economy is a trade war. A clash between the United States and China or the collapse of NAFTA could rock the market as well as the economy. "We are most worried about the potential for a protectionist U.S. approach to trade," Richard Turnill, BlackRock's global chief investment strategist, wrote in a report this week. Another recent concern: Bond rates have been creeping higher. For years, extremely low rates have forced investors into riskier assets like stocks. While the 10-year Treasury still remains very low at 2.56%, a rapid surge in rates would probably rattle Wall Street. No matter the cause, the stock market will eventually suffer a setback -- and investors may be caught off guard. "Don't panic when we finally do get a 5% correction," Detrick said. "They tend to happen most years and are perfectly normal."